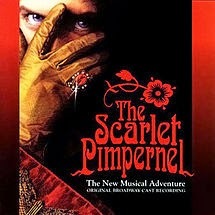 Oh, and there’s also a high school production of Frank Wildhorn and Nan Knighton’s The Scarlet Pimpernel. We get a glimpse into the rehearsal process as Colton performs as part of “Madame Guillotine” and other scenes in the musical. Because Broadway theatre is such a passion, it often naturally finds a place in my writing. When I wrote Hero, I knew Colton would be a quiet, wallflower type of kid. He’s very funny and outgoing—very endearing—but he’s not popular or involved in his high school, not because that’s how superheroes are supposed to start out but because he’s like how I was in high school. Back then, I disappeared into the woodwork. In college, however, I came out of my shell by getting involved in theatre, particularly improvisational theatre, where I discovered for the first time that I was funny. Finding a place in theatre was a seminal moment in my life; it allowed me to get involved, to get to know people, and it meant that I couldn’t second-guess my talents like I could as a writer. After all, you can’t wonder if you are good at improv when there is a roomful of people laughing at what you’re doing onstage. Why, then, did I choose a production of The Scarlet Pimpernel for my novel? If my decision to use high school theatre as a plot point was derived from my life experiences (I also directed high school plays and musicals—look up my suggestion for The Pajama Game in Peter Filichia’s second edition of Let’s Put on a Musical), I picked The Scarlet Pimpernel for a specific reason (and not the one I should have had!). High schools often (rightful) focus their energies on producing the classic repertoire, shows like Guys and Dolls, Camelot, My Fair Lady, and South Pacific. These shows are brilliant and deserve all the productions they get. But it is modern musicals that speak to young audiences, just as modern literature speaks to them more than the classics. Hairspray tells a story that is closer to home for them than South Pacific. Urinetown is of their generation; Annie Get Your Gun is not. When I was directing high school musicals in 1999-2001, there wasn’t much in terms of new material available that was appropriate for high school students to perform. I very much wanted to do Side Show, but we didn’t have any African-American students to be Jake (cross-reference the “pasty white” community in Hero). Now, however, there is Urinetown, Jane Eyre, Suessical, The Scarlet Pimpernel, Wonderland, The Drowsy Chaperone, Shrek, Aida, Beauty and the Beast, Sister Act, Little Women, Catch Me if You Can, and In the Heights. I chose to use The Scarlet Pimpernel in my novel because I saw the tour, staring Douglas Sills, Amy Bodnar, and William Paul Michals. It was tremendous fun, and the music is wonderful. I originally chose it for the modern musical in my novel because I wanted to honor the show and its creators. 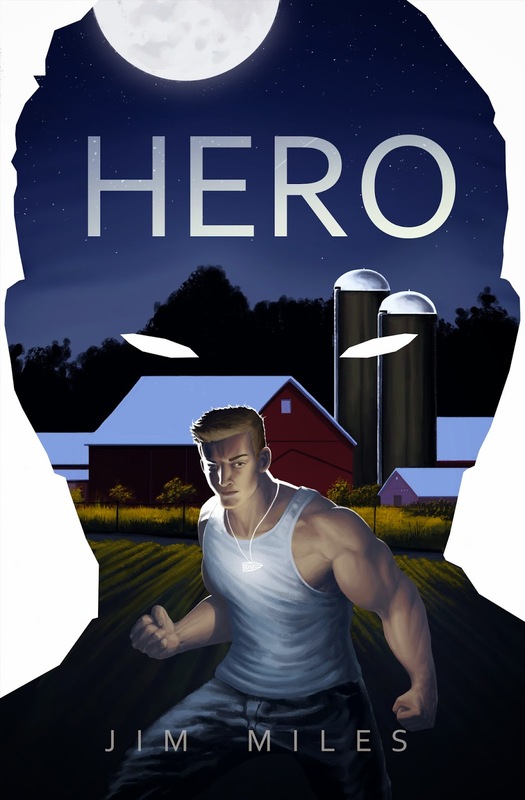 As I continued to write Hero, however, I realized that nothing could be a better fit for my book—a character learning to be a superhero by appearing in a play about an early superhero, a teen learning to act like a superhero by learning to act. If I was smart, I would just lie and say I planned it all out that way. God only knows where Hero would have gone if I had chosen for the show to be Suessical. I’m very proud of Hero. It’s a middle grade book that seeks to balance the adventure and action of books like The Hardy Boys with the intelligence and depth of middle grade books like Summer of My German Soldier, My Brother Sam is Dead, and The Witch of Blackbird Pond. I have worked hard to ensure that I respect my readers by sharing myself through my writing without preaching a message at them or telling them how to think. And along the way, they get introduced to Frank Wildhorn and Nan Knighton’s The Scarlet Pimpernel. Hero is currently available as an eBook from Wrobel Street Books. For people wishing to read Hero but who don’t have a Kindle or Nook, both Amazon and Barnes & Noble have free apps that allow you to read Hero on cell phones, tablets, iPads, laptops, and desktops. Look on any eBook page for information on either site for information on downloading them. For more information on my book, including links to buy Hero, visit www.coltonsilver.com. By the way, The Scarlet Pimpernel isn’t the only theatre honor in Hero. Just as the main character is named for my nephew, there are background characters among the theatre kids with names honoring Carly Jipson (such an awesome Tracey Turnblad), Andrea Rivette (of Jekyll & Hyde), Elizabeth Ward Land (who played Pimpernel’s Marie is all incarnations of the show), and Michael Lanning (of The Civil War and Bonnie & Clyde). The adults in the theatre department are named in honor of Sutton Foster and Hunter Foster, Gwen Verdon, and Agnes DeMille. Among the main characters, Carol Channing (whose Dolly Levi changed my life) makes an appearance in the name of Susie Carole, and Shaun Taylor-Corbett who was Sonny all four times I saw In the Heights (twice on tour, twice on Broadway) makes an appearance through the name Magda Corbett. What, the Tony Nominations Came Out Today???? When I was teaching eighth grade, the number one rule was that kids couldn’t acknowledge they liked something. No one wanted to step out and be un-cool because he or she liked something that was out of the norm. My favorite thing about Tony time is when the Broadway celebs are asked how they heard about the nominations. Honestly, you’ve been nominated for how many Tonys in the past, and you still don’t know when they’re being announced? No one in your show or your agent or your mother or your spouse wished you luck? You actually slept in? There’s some footage on the disc of Show Business: The Road to Broadway in which stars are asked about their mornings when the Tonys were announced. There’s one multiple-Tony-winning actress who isn’t talented enough to convince me she wasn’t waiting for the nominations. In honor of the Tonys, I re-post my tweets of Broadway STARS' responses to the question . . . How did you hear about the Tony nominations? "I was doing a sleep study in the Congo when a tribal shaman burst in to tell me I was nominated. When he said Tonys, I looked for pasta." "I TOTALLY forgot the Tonys existed. When my agent said I was nominated, I thought I needed a blood test and an image consultant." "I don't care about the Tony nomination. It's all about art for me. What? They want me for Saw 14 in 3D? Heck-to-the-yeah!" "I was busy watching Saved By the Bell re-runs when I got a call from my manager. I'm too cool to watch the Tony nominations." "I knew I'd be asked this question, so I stayed in bed trying to pretend I was asleep so I could honestly say I wasn't watching the nominations." Congratulations to everyone who was nominated, no matter how much you feign disinterest. I found Andrew Gans' Playbill interview with A Little Night Music's Leigh Ann Larkin to be insightful and inspirational. Andrew Gans: When did you get to New York? Leigh Ann Larkin: I got to New York in 2002. I graduated in 2002, and I came here with my bells on thinking, "I'm gonna conquer the world!" And a lot of my classmates were really successful right off the bat and were booking major national tours. I mean, one of my classmates booked a Broadway show within the first six months of being here. And I was just like, "Why can't that be me? I want this so bad." It took me six years before I got a Broadway show, which was Gypsy. Think about how discouraging that must be--six years is a long time of auditioning and believing in yourself. I've been trying to do something for about ten years now, but in between, I've been working on other projects in my time in my attempt to "make it"--my novel, trying to get into grad school, and so on. She kept at it for six years! Could you imagine if she had given up after five? Thank you for the encouragement, Leigh Ann. I look forward to seeing you perform while I'm in New York next week! I was so excited to see the tour cast of In the Heights perform on So You Think You Can Dance. I loved that show so much, it was like a mini reunion with some beloved friends. A big "I Miss Your Performance" to Kyle Beltran and Yvette Gonzalez-Nacer. See you in September, In the Heights! Here's a video I just found from Lopez Tonight. I hate country music. Let me say that again. I hate country music. I bought a Johnny Cash CD after seeing Walk the Line and never finished listening to it. This, however, impresses me. The music video isn't to my liking (though I love its theatricality), but I have to admit to really liking this song and Ms. Bundy's performance of it. After seeing the MTV broadcast of Legally Blonde (and listening to the CD about a trillion times), I'm a huge fan of Laura Bell Bundy's talents. She’s versatile and has a powerhouse voice. I hope her country career skyrockets to prove that with a little brains, a little talent, and a boatload of hard work, a Broadway artist can become a star beyond the Broadway stage. I have to admit that I wanted to be the first to bring hip hop to Broadway. I own very little of anything that could be called hip hop, but when it’s used as part of a song or with the right rhythms, hip hop can be really awesome stuff. And even though my hopes were crushed, I was so excited when In the Heights opened on Broadway back in 2008. And all this time later, I was still ecstatic to see the show on tour. And it surpassed all my expectations. For the more mature characters, Elise Santora is a powerfully voiced Abuela Claudia, and Daniel Bolero is a moving and impassioned Kevin. Natalie Toro, recently of A Tale of Two Cities, pulls out all the stops as Camila and makes “Enough” a powerful highlight of the second act. In short, it is an amazing cast. In an ensemble show, casting is all important, and here, everything is pitch perfect. This was truly a Broadway tour with a Broadway worthy cast. Songs are also used as snapshots into moments of life. “No Me Diga” and “Carnaval del Barrio,” for example, don’t have over-arching ideas driving them forward. That is not to say that they aren’t important songs. As an ensemble piece, In the Heights is dependant upon such snapshots to pull us into the lives of these characters. And of course, there are plenty of traditional style Broadway songs—the opening number, despite its rap and Latino flavor, is all Broadway. “When You’re Home,” “Champagne,” and “When the Sun Goes Down” are all traditional Broadway songs with traditional Broadway purposes. What can’t get lost in my librettist-perspective analysis is that these are remarkable, exciting songs. And the best of them all—“96,000”—is an old-fashioned Broadway showstopper. In fact, it’s probably the closest thing I’ve seen to one since seeing Carol Channing and waiters singing the title number from the revival Hello, Dolly! in 1994. It’s an exciting, thrilling number, a perfect amalgam of purpose, music, lyrics, choreography, and casting. It had a tremendous effect on me both times I saw it. And that what In the Heights teaches us, that formula isn’t as important as effect. And there’s no arguing that In the Heights is extraordinarily effective. Like the classics of the Golden Age, In the Heights is filled with loveable and memorable characters. It shouldn’t be—Sonny, Vanessa, Nina, Benny, Daniela, et al. are not outrageous caricatures, bigger-than-life personae, or historically significant. They are simply, to quote Sesame Street, the people on the street where you live. But they’re so funny, so honest, and sing such great songs, you can’t help but love them all. The next time I get to New York, I feel like I should go to Washington Heights, but without Usnavi and Graffiti Pete, I might be more than just a little disappointed. Like all great literature (and pieces of musical theatre) that focuses on the life of one particular culture, In the Heights is ultimately universal because of the stories of the characters. What working class man can’t relate to the fear of being inutil, who doesn’t want to rise above his station in life like Benny, and who doesn’t love the home they want to leave behind? I couldn’t tell if I was more Kevin, Usnavi, Benny, or Nina. In the Heights is a truly great show, one on par with shows like Oklahoma!, Guys and Dolls, and Hairspray. While many recent Broadway shows have been immensely enjoyable—Dirty Rotten Scoundrels, The Wedding Singer, Legally Blonde, Mary Poppins—In the Heights counts as one of the greats. Of course, most of my readers will have already seen it, but I can’t help but celebrate my own discovery. See footage of Rogelio Douglas Jr. and Arielle Jacobs. The sound isn’t the greatest, but their talent rises above. This video is really fun and funny. Take the chance to meet tour Usnavi Kyle Beltran. The Mary Poppins tour is one of the few shows that came through town where a lot of people I know attended. I know people who want to see The Lion King or Wicked and aren’t able to get tickets, but here, they had the magic blending of the desire to pay the money to see the show and the availability of seats for it to happen. And the one thing each of these people who saw it had in common was that they all loved it. Of all the Disney stage shows that originated as movies, Mary Poppins is the first show to feel authentic to the stage, not dependant upon gimmicks (the video projections of Tarzan), awkward visuals (Timon and the waterfall in The Lion King), or incongruities (a teapot the size of Beth Fowler in Beauty and the Beast). Thankfully, the creators don’t attempt to replicate all the special effects of the movie—let’s hope Disney continues down this route. And that is the strength of Mary Poppins. I had already heard that the movie differed from the original books—and the movie is fantastic—but it seems right for the stage show to return to those roots, particularly if the movie cannot be replicated. On stage, the characters are deeper, more human. The Banks family of the original movie is a Disney creation of the era, the Banks family of the stage is rooted more firmly in real life. The biggest strength of the production—the biggest strength of any production—is that cast. God bless Disney and Cameron Mackintosh for sending Ashley Brown and Gavin Lee out on tour! They spear-headed a marvelous group of actors. Ashley Brown imbues Mary Poppins with humor and a sauciness that differs from the Julie Andrews interpretation, which is more than fitting since stage Mary is written more than just a little differently from movie Mary. My favorite moment of the whole show is when Ashley Brown tells Mr. Banks that she doesn’t explain anything with a flirty wink that leaves him speechless. Gavin Lee is a great Bert filled with charisma and stage presence. Other highlights of the cast include Ellen Harvey as a delectable and hilarious Miss Andrew who stops the show twice with crazy vibrato. Megan Osterhaus also shines as a prettily voiced but uncertain Mrs. Banks. The two children—Aida Neitenbach and Christopher Flaim—were wonderful. Upon reflection, the weakest link in the show—which I am, by far, not the first one to acknowledge—are the new songs by George Stiles and Anthony Drewe. Within the show, they are very fitting and appropriate. The songs do what they should, and in that respect, they are delightful. At the same time, the Sherman Brothers have a knack with melding melody with clever and melodic lyrics that Stiles and Drewe don’t have. The Original London Cast recording, for example, doesn’t withstand multiple hearings in the same way many other recent scores do—Legally Blonde, The Drowsy Chaperone, or The Wedding Singer, for example. The best songs in the show are undoubtedly the ones that remain un-rewritten from the movie (and “Supercalifragilisticexpialidocious”). Stiles and Drewe do a nice job of zapping the spark from “Jolly Holliday” and “Step in Time,” though it was important that they alter the songs to fit their new purpose. The other weak link in the show is the choreography by Matthew Bourne and Stephen Mear. “Step in Time” is wonderful, and the spelling in “Supercalifragilisticexpialidocious” is a good, but songs like “Jolly Holliday” never excite (wouldn’t it be fun to think of what Susan Stroman or Kathleen Marshall might have done with them?). The sets and costumes are by Bob Crowley, who always does such beautiful work. In a separate note, I think it’s important to acknowledge that Mary Poppins seems to be part of the increasing trend over the past few years to get lazy on hiding the backstage. Though I paid full price, I saw several performers standing in the wings waiting for their entrance, saw a stage hand behind one of the sets during one scene, saw Mary grabbing the kite and waiting for her big entrance in Act 2, and in getting Bert ready for his specialty in “Step in Time,” the stage hands were all but on stage preparing him. Perhaps some of the Disney magic needs a little help from smoke and mirrors to mask the backstage. Those criticisms aside, Mary Poppins is a delightful show, tons of fun, and left an audience thrilled and moved. This is my novel, featuring a high school production of Frank Wildhorn and Nan Knighton's "The Scarlet Pimpernel."